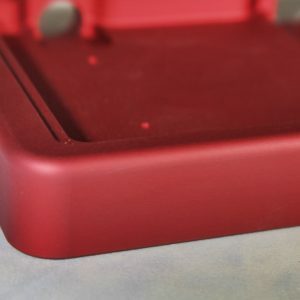 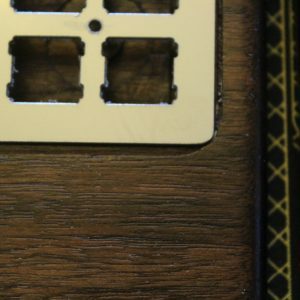 The contoured design mimics the outline of the rev2 PCBs. 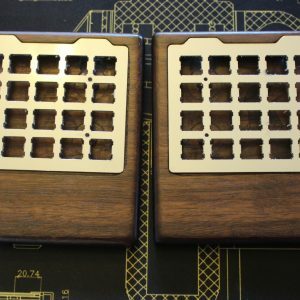 These are designed to fit our custom wood cases, but could be used for a sandwich case as well. 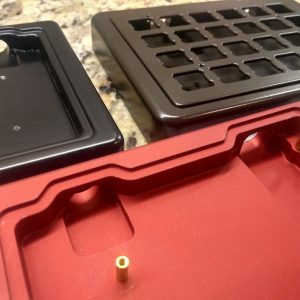 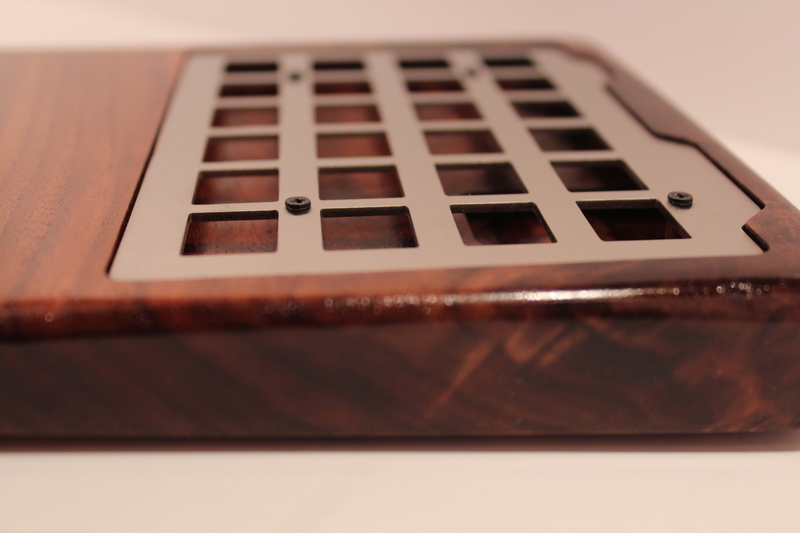 There is an option to order a matching bottom plate for this design. 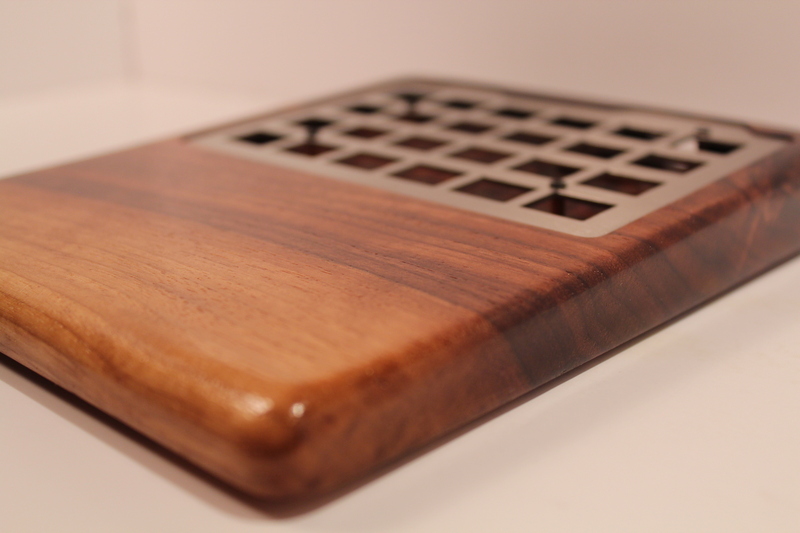 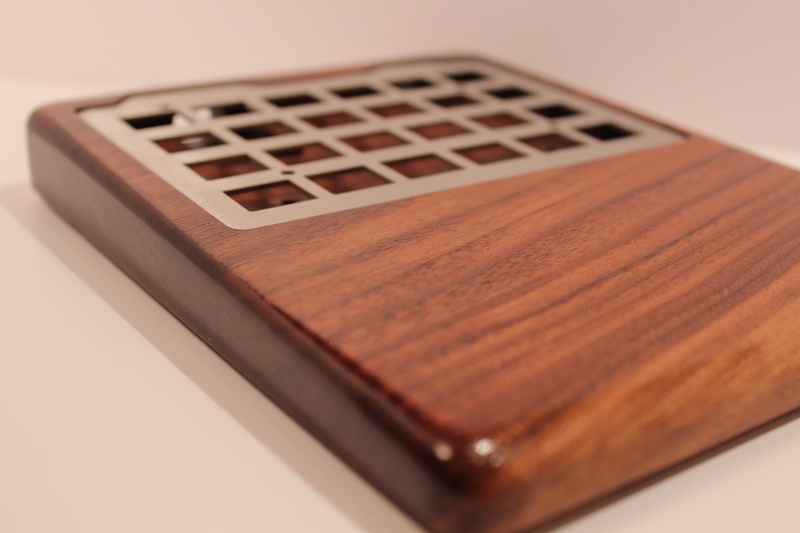 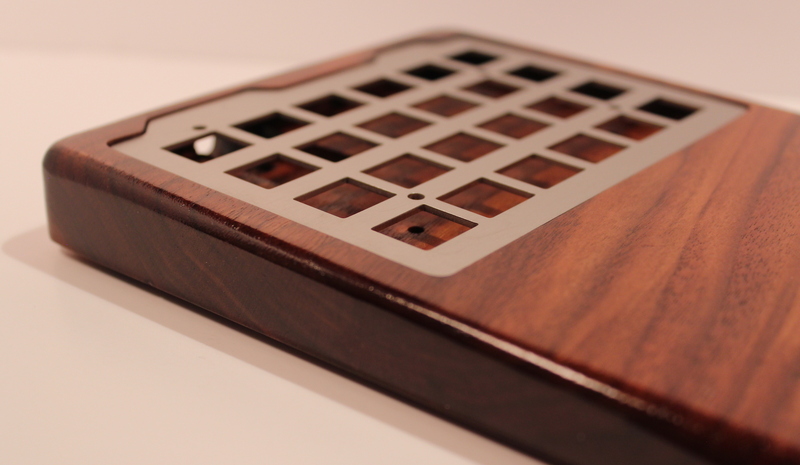 If ordering a wood case as well, be sure to choose the correct option for the case.